Cargo volumes at the Port of Los Angeles reached 8,856,782 Twenty-Foot Equivalent Units in 2016, marking the busiest year ever for a Western Hemisphere Port. 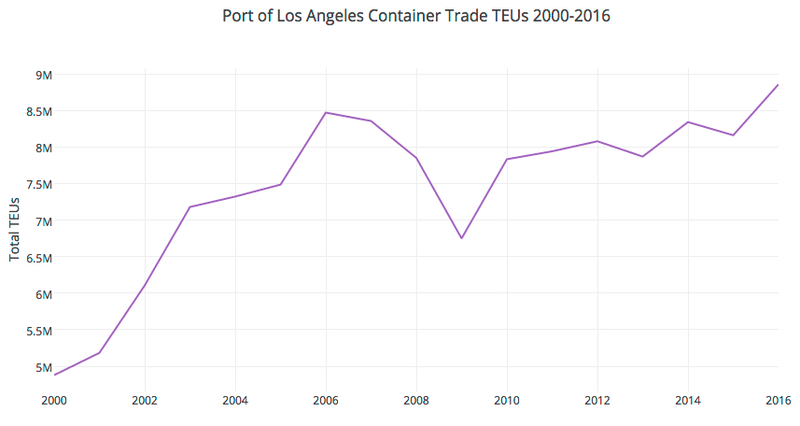 The previous record was set in 2006, when the Port of Los Angeles handled 8,469,853 TEUs. The Port finished the year strong, with December volumes of 796,536 TEUs, a 27 percent increase compared to the same period last year. It was the Port’s busiest December and fourth quarter in its 110-year history. Overall in 2016, cargo increased 8.5 percent compared to 2015. 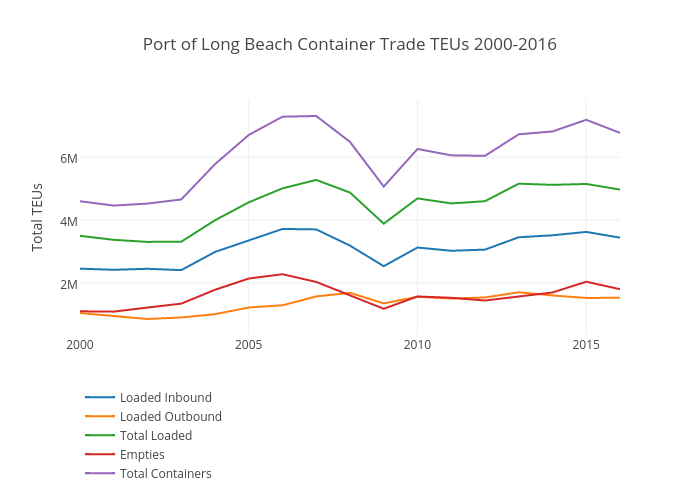 Slowed by industry headwinds and challenges that included a major customer declaring bankruptcy, the Port of Long Beach still moved almost 6.8 million containers in 2016, its fifth best year ever. 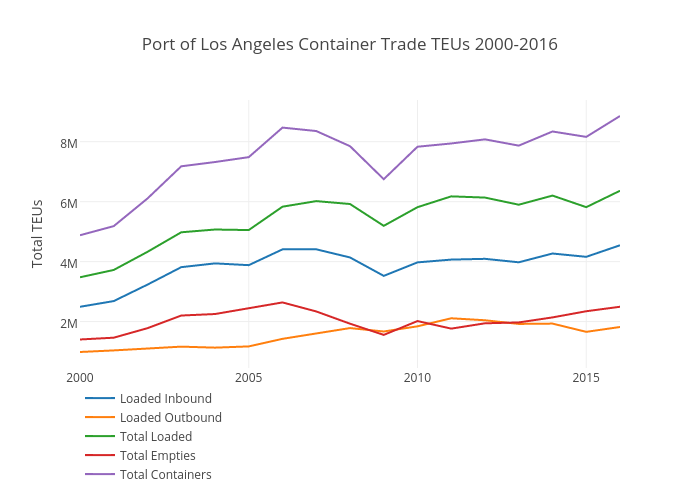 Overall cargo declined 5.8 percent in 2016 compared to 2015, as the Port was impacted by new ocean carrier alliances and the August bankruptcy of Hanjin Shipping, a South Korean company and former majority stakeholder at the 381-acre Pier T container terminal — Long Beach’s largest. By year’s end, the Harbor Commission had approved an agreement for a subsidiary of Mediterranean Shipping Co., one of the world’s largest container ship operators, to take sole control of the long-term lease at Pier T.